Home Middle-East News Isreali News Is Israel at Risk of becoming an Apartheid State? Is Israel at Risk of becoming an Apartheid State? 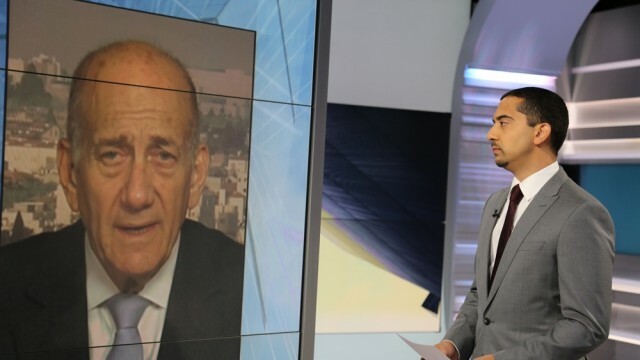 In this episode of UpFront, Mehdi Hasan speaks to former Israeli Prime Minister Ehud Olmert about the Iran deal, a two-state solution and calls for him to be charged with war crimes. Hasan also exposes some of the greatest misconceptions about the continent of Africa, and asks a former KGB general about the real motives behind Russian air strikes in Syria. Accused of wars crimes in Gaza and Lebanon and convicted for fraud, the former Israeli Prime Minister Olmert has been plagued by controversy throughout his political career. Despite this, many supporters laud him for coming close to a peace deal with the Palestinians in 2008. In an exclusive interview with Mehdi Hasan, Olmert says Iran deal is “a done deal”, and his opinion on allegations that Israel committed war crimes in Gaza and Lebanon. Do you speak African? Well, neither do the 1 billion people on the continent. Africa is home to 54 different nations, more than 2,000 languages and four of the world’s 10 fastest growing economies, but is often painted with a sweeping stroke of doom and gloom. In this Reality Check, Hasan exposes the popular misconceptions about the continent. The Arena: What are Putin’s motives in Syria? “We bomb in one hour. Stay out of our way.” That was the message from a Russian general to US diplomats on Wednesday as Russian forces began bombing what they say are ISIL positions in Syria. The Russian government claims the goal of the air strikes is to defeat “ISIL and other terrorist organisations”, but Syrian opposition groups claim they are being targeted, leaving many to question if this is an attempt to prop up Syrian President Bashar al-Assad. In this week’s Arena, former KGB Major-General Oleg Kalugin debates Alexander Nekrassov, a former Kremlin adviser, on Putin’s motives in Syria. The post Is Israel at risk of becoming an “apartheid” state? appeared first on African Media Agency. Is Cristiano Ronaldo Ready To Light Up The Serie A? Can Arsenal Sign Raphael Varane?